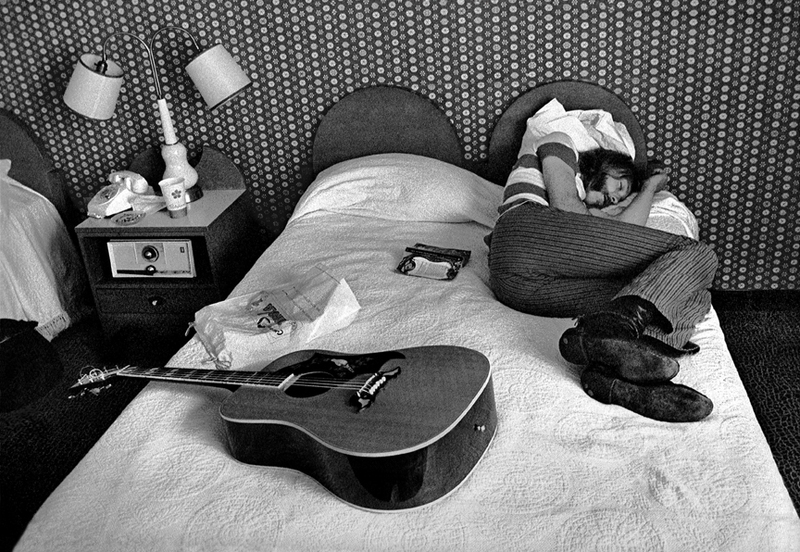 Duane was seen with this guitar on a photo of him sleeping right next to it, taken at a hotel room sometime in the late 60s or early 70s. That photo is the only instance where Duane was pictured with the guitar, so we can’t say for sure that it was he himself who owned it. This particular Gibson acoustic is easily identifiable by the white dove on the pickguard, which is of course where it got its name. The model was introduced in 1962, and it was Gibson’s second square-shouldered dreadnought acoustic guitar, after the introduction of the Gibson Hummingbird in 1960. It featured solid spruce top and solid maple back and sides and the guitar was originally available in two finishes – sunburst and natural (Duane’s being the latter). Duane’s guitar seems to have featured a Tune-o-Matic bridge, which was only available on models made before 1968 – so that gives us somewhat of an idea on when his guitar was made.